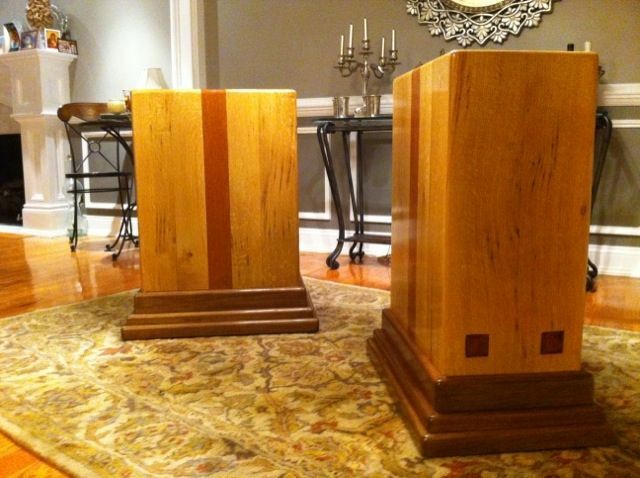 Custom Designed Base Pedistals for large glass dining table. Select your choice in woods, size, or order as pictured!! Versatile design lets bases be used as dining table, side, or sofa table, or display pedistals! !